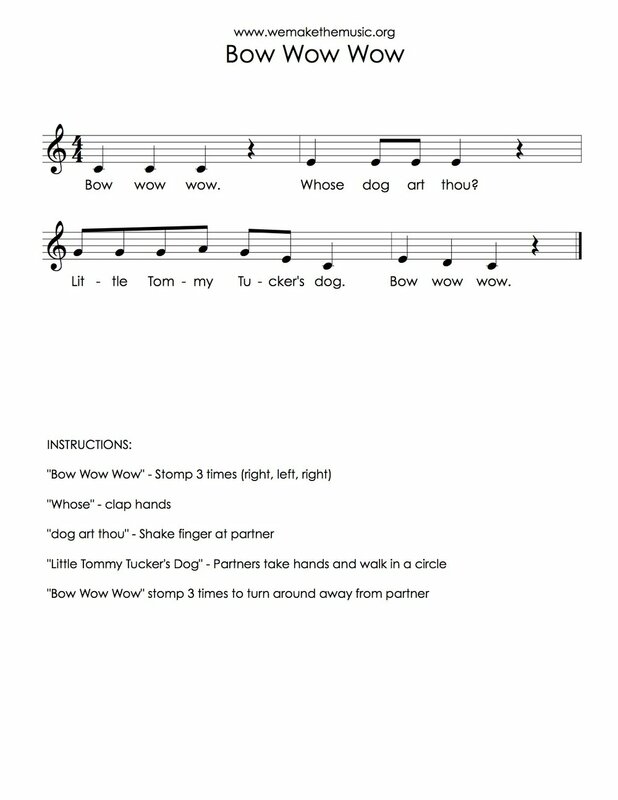 After students have discovered the singing voice, have differentiated between high and low, and have mastered sol and mi, it's time to introduce a new note: la. Although these patterns use the note, la, they both approach the pitch differently. 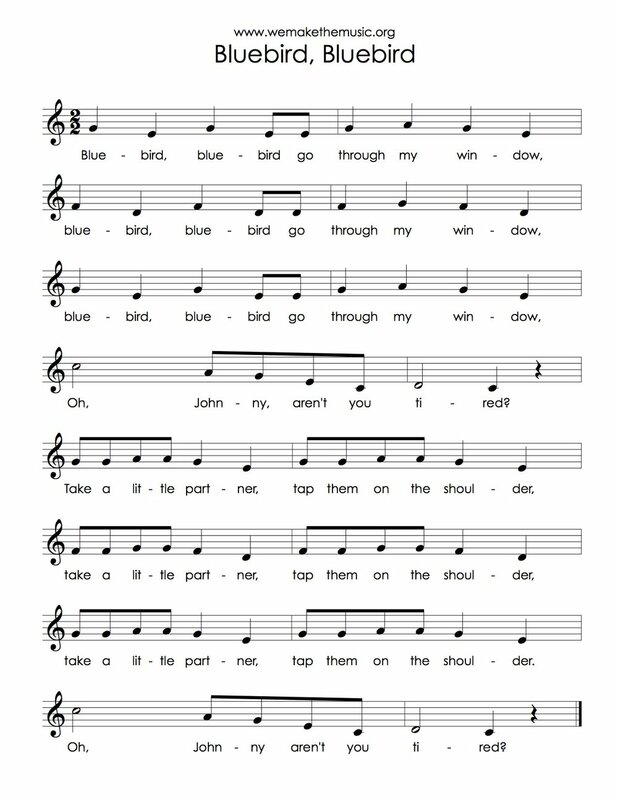 Students will sing each of these melodies naturally, but the way they think about them and become conscious of them may be different. Our students will have an easier time recognizing "a note higher than sol" when sol comes directly before the new note. The whole step between the two pitches highlights the higher of the two, and helps students differentiate between sol and la. When la is preceded by a pitch much lower (in this case, mi) students can get lost in the jump from the lower pitch to the higher. In other words, it’s easier for students to hear the step above sol to identify la, rather than a fourth above mi. That said, here are my favorite songs for teaching la! Although both sol-mi-la and sol-la-sol-mi appear in a huge amount of folksong literature, I've chosen to share only my favorite sol-la-sol-mi songs. The big beautiful bow that ties all these elements together is my students’ love for the apple tree game! I’ve written about the apple tree game here and here but in case you're not familiar with it, here it is! To play the game, students sing and walk in a circle keeping the steady beat. Two students (the “apple tree”) hold their hands above heads, creating an arch for students to walk under. On the word "out" the apple tree quickly lowers its branches and traps an apple. That caught student becomes a new apple tree with the teacher and the game continues - catching more apples, creating more trees, until there is only one apple left. Children stand in a circle with hands joined and raised to form "windows." For something more lyrical that can emphasize beautiful, resonant singing, I turn to Firefly. I had always sung this song in its english translation until I came across the Japanese version in this recording by Elizabeth Mitchell. If you haven't listened to her music before, please try it out! I like to sing this song in a round. We also use a simple bordun to accompany out singing. 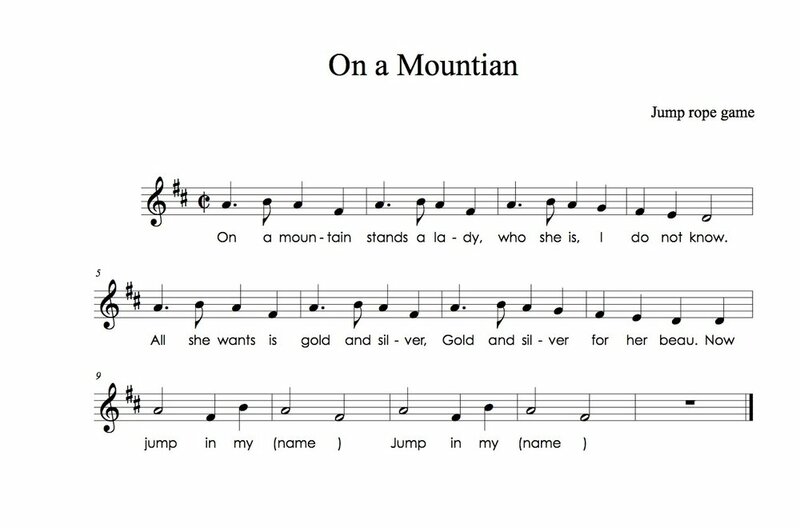 Like all the songs that end up on my favorite's list, my students LOVE On a Mountain. And how could you not - when you pair a jumping game with a singing game you have a smash hit! One reason to love this song is that it can double for both sol la sol mi and sol mi la. As everyone sings the first half of the song, two students swing the jump rope while one student jumps. At the lyrics, “jump in my ___” the child in the middle sings the name of a student. Everyone else echoes the next “jump out my ____” with the name of the child leaving the jump rope game. The new student called jumps in, the old student jumps out, and the game begins again. I love that I can layer concepts with them. I love that they have an interesting game or musical activity that gets students engaged right away. I love that they’re enjoyable to sing. I mostly love how much my students love them! There are lots more songs that use la out there. As I teach, I try to collect the ones I enjoy and write them down. I've compiled that list here to share with you. This Sheet Music Library is totally free and you can sign up for access below. 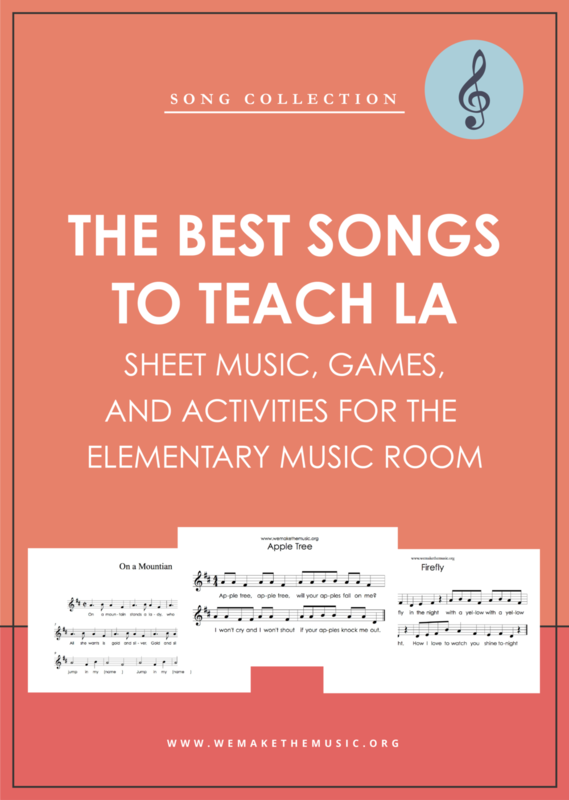 Sign up with your email address for more songs that teach la! The password to the library is "MusicMakers" (case sensitive). An email is on its way to your inbox with the password as well.